An area of southern Kenya called Kasigau has emerged as a trailblazer in the areas of forest preservation and wildlife protection. By creating a unique company that takes advantage of the rules set out by the U.N. regarding carbon credits, Kasigau has worked to reduce carbon emissions in a way no other place in the world has done. A company in the area called Wildlife Works Carbon, Inc., or just Wild Works, employs over 400 people, including rangers, carpenters, horticulturalists, and more, who all work toward earning, counting, and selling carbon credits. 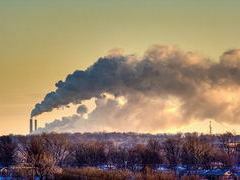 As part of the Kyoto Protocol, the U.N. created carbon credits as an economic incentive. The program places caps on the levels of carbon emissions countries are allowed to have, and countries who exceed their limit are allowed to buy credits from other countries who are ahead of the game. The credits can now also be obtained by companies or individuals who are working to reduce carbon emissions. Wild Works has created an entire economy out of the program. Over 140 rangers who work for the company monitor a vast expanse of land that includes 500,000 acres of wood and 110,000 people. The rangers work to prevent poaching and deforestation. Wild Works is then audited by a group called the Verified Carbon Standard, who are in charge of verifying the number of credits earned by a particular entity. After it is determined how many carbon credits have been earned, Wild Works are free to sell them to whoever they wish, and have sold to companies like Coca-Cola, Microsoft, and Barclays. Wild Works estimates annual revenue between $3.5 and $7 million dollars for these transactions, with the earnings split between the company’s workers, Kasigau’s landowners, and community projects that further benefit the area of Kasigau. Kasigau’s initiative involving carbon credits is completely unique, as no other company in the world has created such a wide scale operation to take advantage of the program. Unfortunately, because of lack of demand for carbon credits, their value has fallen in recent years. Despite this, it is clear that the potential for high revenues, coupled with the clear benefits to the environment, make initiatives like Wild Works well worth the time and effort. Time will tell if similar companies follow suit. Posted on July 11th under Global Warming Issues.